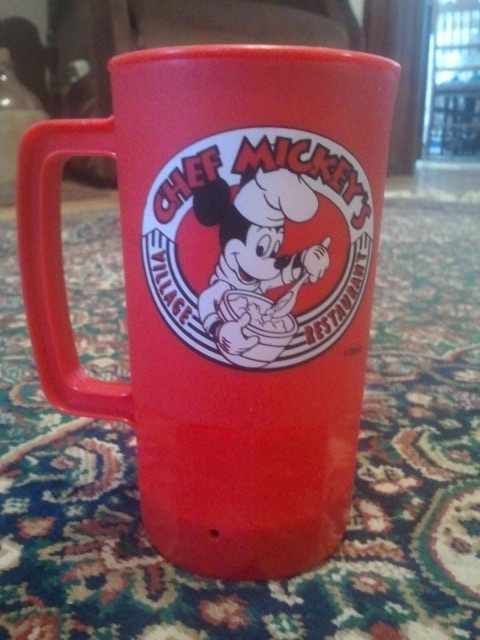 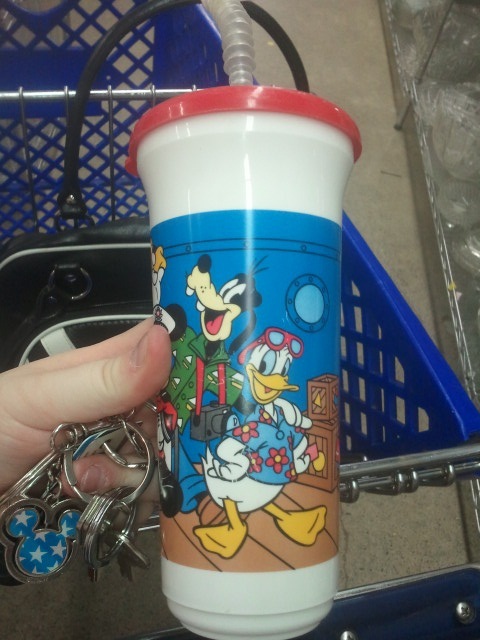 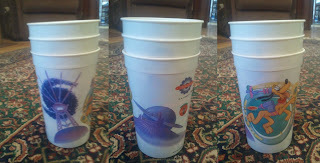 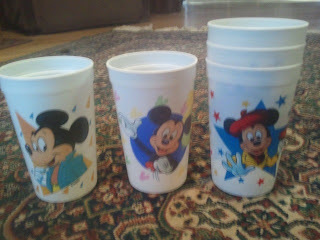 Today I went to, two good wills, the first one I hit the mega load aka Jackpot of Disney World items from early 90's into the 20's...First I found Old plastic cups. 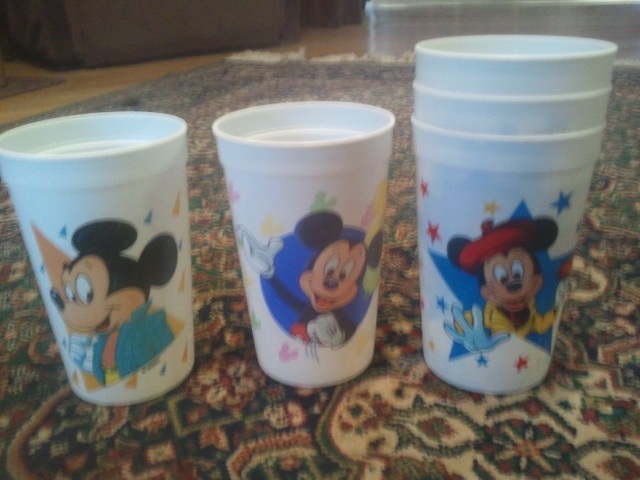 There are 6 to a set from the Magic Kingdom, I only found 3. I was very shocked to see them. 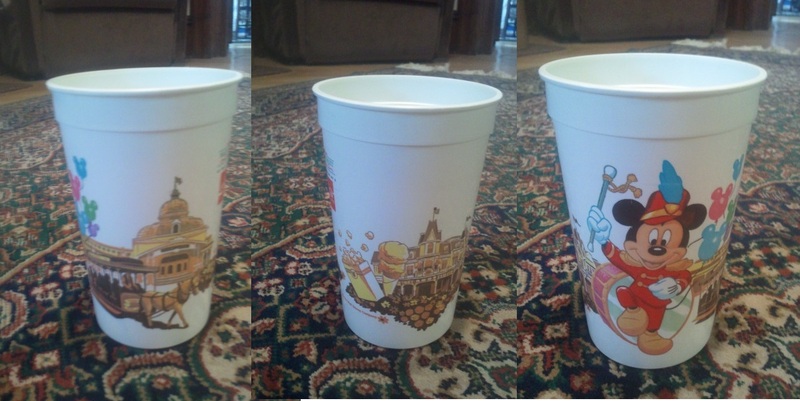 If anybody needs a Tomorrowland cup to finish your collection, I will do a trade for Adventureland and the last missing one which is Fantasyland. 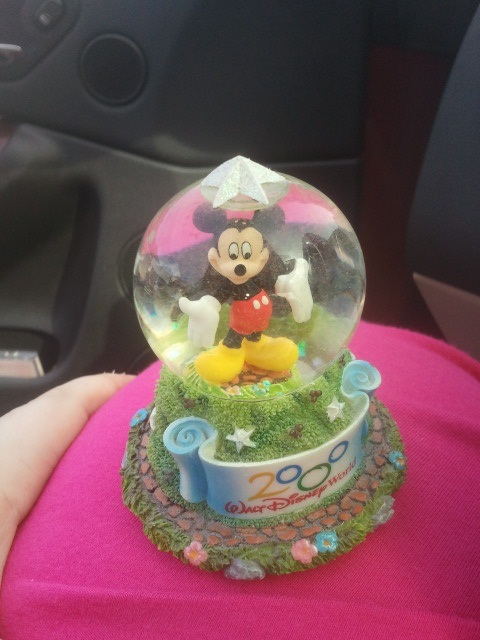 Not sure how old this one is. 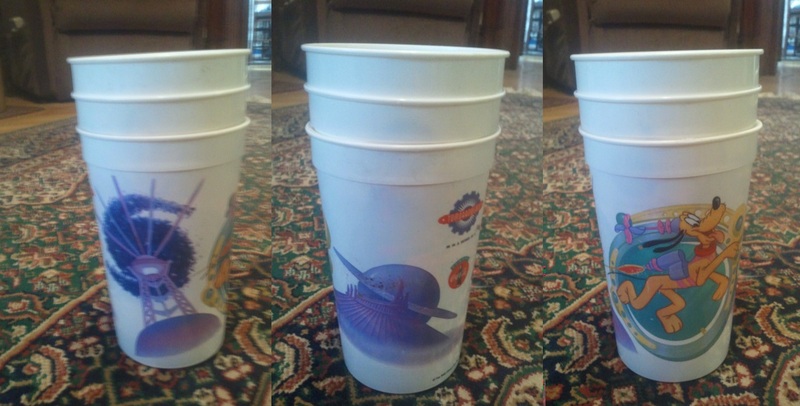 The other cups were from 1990. I went to another Good Will Store where I noticed they had 3 cups from the Disney Cruise Line (pictured below) but I decided against buying them for $0.99 each.